Don’t hesitate and discover our offer of physiotherapy treatments. 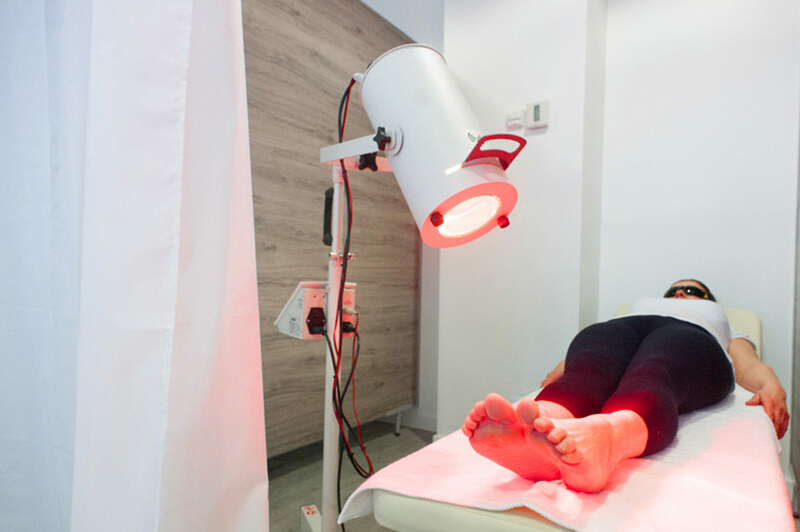 Thanks to the bespoke approach to Clients and the professional equipment, our treatments are effective and will speed up your full recovery process. 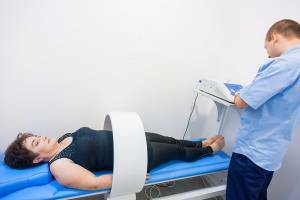 Thanks to our team of adequately trained and experienced professionals, you can be sure that your body will be in the right hands. 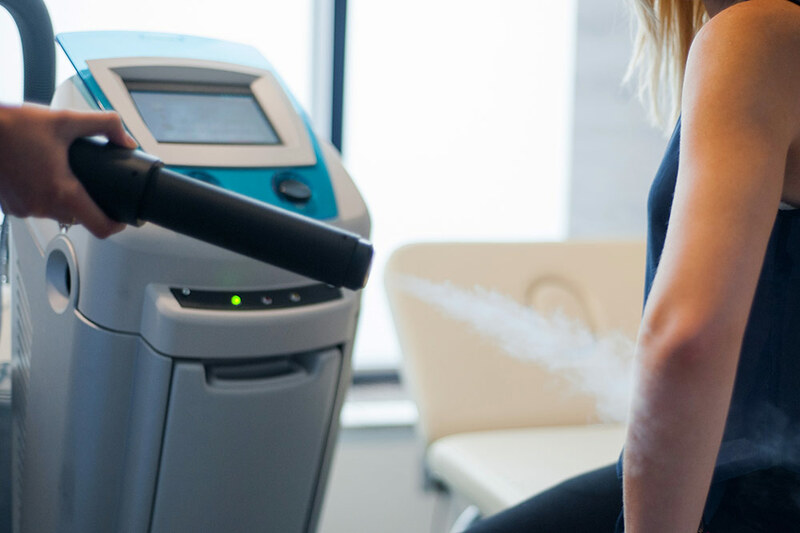 We offer, among all, ultrasound treatments, cryotherapy or ionophoresis. The electrotherapeutic treatment based on direct current flows. Depending on the patient’s disease and treatment parameters, galvanic currents can either have an analgesic, soothing and calming effect or stimulate the body by arousing strong congestion in tissues. The treatment is used, among all, in neuralgias, chronic inflammations of nerves, degenerative joint diseases, delayed union of fractures and in peripheral circulation disorders. 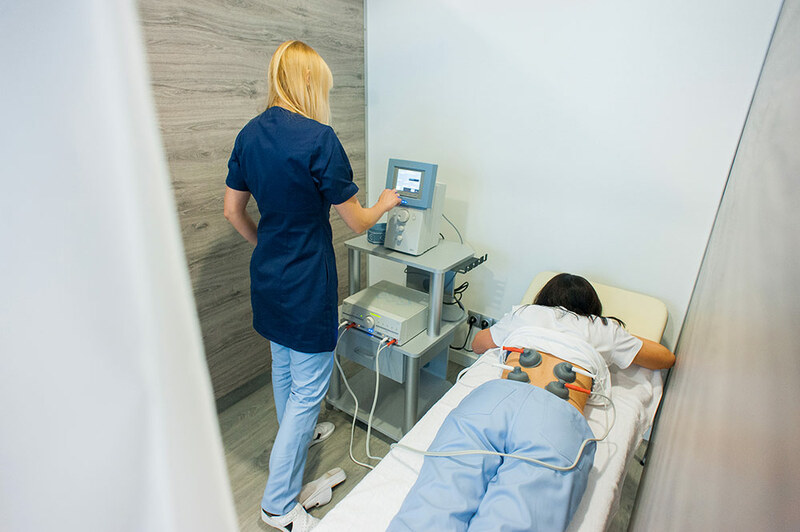 The type of treatment where the galvanic current is used to locally introduce drug ions to the body. 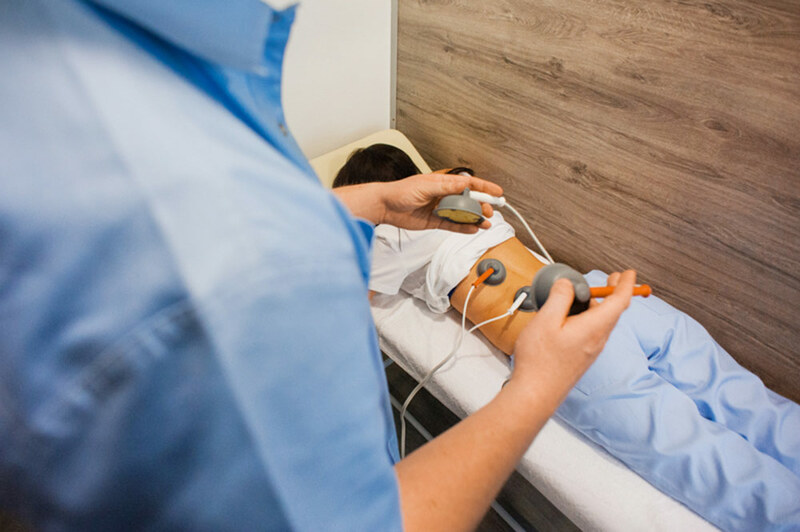 Depending on the medicinal substance, iontophoresis can be used in the treatment of joint contractions, scars, post-traumatic conditions, soft tissue inflammations and joint pain syndromes. The electrotherapeutic treatment based on six current types. Depending on the desired therapeutic effect, diadynamic currents can have either painkilling or congestive and nourishing effect. The treatment is used to ease muscle tension or for electro-stimulation in case of limb paresis. The transcutaneous electrical nerve stimulation (TENS) is one of the most often used electrotherapeutic methods. The use of low-frequency pulse currents is mostly recommended in acute and chronic pain therapy. The flow of Träbert’s currents causes muscle tremor and vibrations, reduces muscle tension and amplifies the painkilling effect. The treatment is among allindicated in neuralgias, myalgias, degenerative joint changes, post-traumatic conditions and in peripheral circulation disorders. Interferential currents are sinusoidal alternating medium-frequency currents. Treatments based on inferential currents act as two or more overlapping waves made to amplify the resultant wave. The therapy is most of all used in pain syndromes of the movement apparatus, peripheral circulation disorders, urinary incontinence and in constipations. Ultrasounds can otherwise be defined as mechanical vibrations whose frequency exceeds the audibility limits of the human ear. Vibrations are transferred further on body molecules and form an ultrasound wave. The treatment works perfectly in the therapy of overuse syndromes, calcaneal heel or joint contractures. The treatment used to enhance the delivery of the specific drug to the body by means of ultrasound. 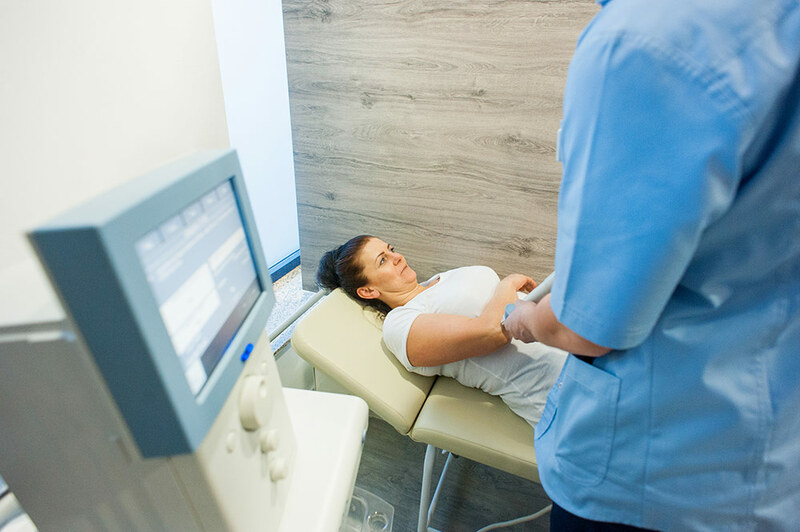 Its therapeutic action depends on the applied medicinal substance which can be absorbed faster and deeper in the tissues thanks to the ultrasound wave. The instrument emits infrared radiation (IR), principally known for its thermal properties. Rays penetrate deeply into the tissue reaching the depth of around 30 mm. Depending on the filter, the treatment can either have a painkilling and calming effect or speed up the resorption of exudations in skin lesions and poor wound healing. The laser is the light amplified through forced radiation. 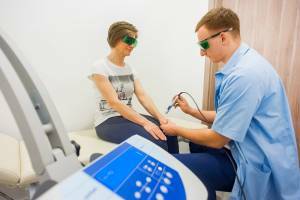 Advantage of laser therapy? It can be administered at any stage of the condition, whether acute, post-acute and chronic. The therapeutic benefits of the treatment include: better DNA synthesis, enhanced action potential of cell membranes, faster metabolic processes and higher levels of endorphins. The type of laser used to automatically scan the patient’s body. The treatment is used among all in cases of poor wound healing and skin lesions, heel spur, facial nerve paralysis or carpal tunnel syndrome. The physiotherapeutic treatment based on the low-frequency magnetic field. Exposed to the action of the magnetic field, cell ions enter in rhythmic movements and hyperpolarization effect appears in cell membranes, which helps boost the metabolism of the body. 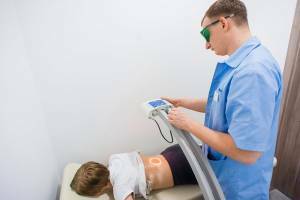 Magnetic field treatments are first of all used in osteoarthritis, post-trauma disorders of movement apparatus and in peripheral circulation disorders. Cold therapy based on liquid nitrogen used as a cooling factor. Of all physiotherapy treatments cryotherapy is exceptionally popular among patients. It has a very positive effect on patients’ mood, removes the feeling of fatigue and relaxes tense muscles. What’s more, cryotherapy helps fight edemas and generally improves the body immune system. After being successfully applied in treating kidney stones, it has now been used in rehabilitation therapies. The shock wave carries pneumatically generated acoustic impulses, transferred to the patient’s body with a specialized applicator. The treatment has an intensive analgesic effect, improves cell metabolism and enhances blood circulation in the painful area. Fango is a peloid of volcanic origin, made principally of aluminum, potassium, sodium and calciumand featuring thermo-physical properties. Able to keep the heat for long, it has a warming up effect on the body. For that reason the treatment is used in joint pains, osteoporosis or post-trauma rehabilitation. Fango also includes mineral ingredients with skin healing properties and its compresses will help in neurodermatitis, psoriasis or cellulitis reduction.